Elektra Natchios died once. 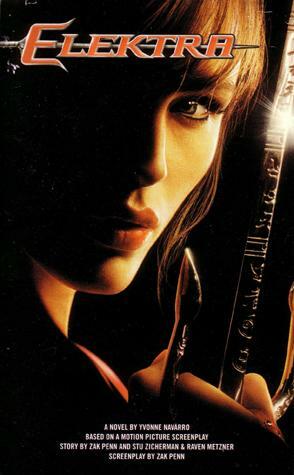 But the beautiful, dangerous heiress was resurrected and recruited by a mysterious group known as The Chaste, who trained Elektra in the art of combat, then cast her out when her anger and lust for vengeance became more than they could bear. Now she works as a paid assassin-- the very best that money can buy, one who is notorious for her lethal speed and precision. Elektra is careful to treat each assigned as just another job, providing a service she can perform better than anyone else. Check out the interview with Yvonne at the Daredevil site, ManWithoutFear.com! Wow-- don't miss Mark Greenawalt's Body Painted Life Casts! Why? Because if you're an Elektra fan, the first thing you'll see is is gorgeous Elektra life cast. All images and text copyrighted as appropriate. No filching. It's tacky.